I don't know where he came up with this - his mommy, Brooke, says she thinks it's a combination of phrases from "Meet The Robinsons" ... 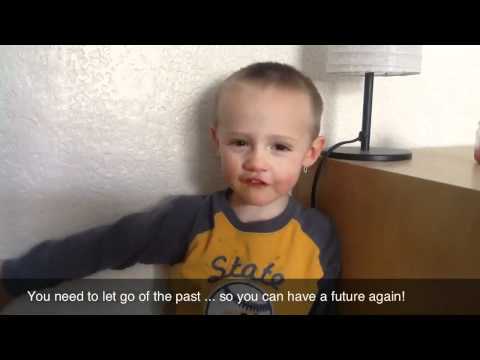 But WOW - having a 2-year-old walk up and say this to you can really make you think! wow. gonna' think about that one. wow - too cute. he reminds me of my sister's 22 month old grandson... he comes up with the same kind of things to say. he is amazing in the stuff that comes out of his mouth.